Several methods are used to control and kill them and prevent repeated infestations. Natural powders are currently being touted as a surefire way to get rid of the annoying creatures. The drawback is that they must walk through the powder for it to be effective. Chemical treatments are the most traditional methods. Sprays, both commercially available brands and professional strength variations, tend to be most effective when combined with common sanitation and cleaning efforts. These small bloodsucking parasitic insects feed on human blood when other food sources are not readily available. All species live exclusively off the blood of warm-blooded mammals. They were nearly eradicated as pests by the early 1940s. However, the insects have increased in prevalence since the mid-1990s. Their name comes from the insect’s habit of infesting areas where people sleep, especially mattresses. They are most active at night. This is when they feed on their host and have six life stages. Their life cycle ranges from 32 to 48 days. They need to feed during each stage of their lives. Look for blood stains or spots on sheets and bedding. This is the most common sign of an infestation. Strip off all bedding and check around common areas on infestation such as creases or buttons. These insects are not just found around the bed or mattress and often travel to other areas of the room. Check cracks and crevices around floors, walls, windows, closets, drawers, smoke alarms, electrical sockets, furnishings and picture frames. They easily catch a ride onto their next destination. Examine collars, pockets, shoes, hats and other items of clothing, including clothing in closets or drawers in the infected area. Personal items such as blankets, toys, stuffed animals and pillows should be removed. These items must be washed in hot water to kill the offending bugs. The area should also be cleaned with a vacuum. The contents should be disposed of in a bag that can be sealed and disposed of properly. Items such as phones, radios, laptops and other such items should be placed in a plastic bag with Nuvan Strips. These strips will not harm such items. Finding hiding places can be time consuming, but is really the only way to eliminate. Remove all drawers from dressers and desks. Turn over furniture since they may hide in the tiniest locations. Stand up the box spring and take the bed frame apart. These critters like secluded hideaways. Remove mattress covers and inspect the mattress for holes or tears. Caulk and seal any holes where cable cord or pipes penetrate the floor or walls. Fill any cracks around moldings and baseboards to cut off hiding places. All clothing, bedding and draperies in the infected area should be cleaned. Washable items need to be washed in hot water. Dry cleaning is also an effective method. Floors and carpeting should be vacuumed. Take all items out of drawers and closets in the room where the infestation was first observed. Drawers and closets should be scrubbed and cleaned. The same is true for wood flooring. If initiated in early stages, chemical treatments can eliminate the problem and prevent further infestation. When correctly applied, some experts consider chemical treatment the most effective method. Chemical treatment may also be the most cost-effective method. Cryonite treatment and thermal remediation may both be equally effective, but in terms of cost chemical treatment is less expensive. Newer mattresses offer fewer places for refuge. If a mattress is well constructed and does not have any holes or tears, it is likely that it will not have to be replaced. 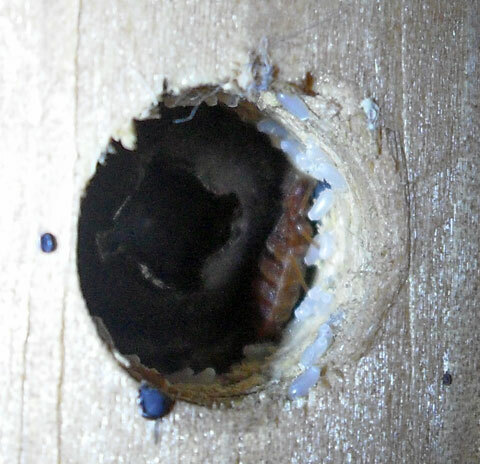 If a mattress has holes, tears or rips, it is possible they and their eggs have found their way inside. In this case, you will most likely be better off with a new mattress to avoid the chance of the area becoming infested again. Some insecticides and aerosols may be used to treat a mattress. Read instructions carefully, as some insecticides and sprays have restrictions on how they may be used and applied to mattresses. Pyganic Dust, Bedlam Aerosols and Temprid SC Insecticide are the common insecticides and dusts specifically labeled for mattresses. Dusts last longer. However, specially-designed tips on the Bedlams and Phantom make it easier to reach cracks and crevices. Dusts and sprays may be used on surfaces such as chests, dressers, nightstands, chairs, couches and other furniture. Check mattresses, buttons, seams, rips, holes, tears and box spring. Check other furniture in the room. Check pictures, wall posters, switch plates and lighting fixtures. Check electrical appliances and gadgets such as phones, radios, televisions and other possible hiding places. Check carpeting, tack strips and baseboards. Check other beds that may be in the room along with all bedding. Newer mattresses are more resistant than older mattresses. A big part of fighting an infestation is not only to detect it, but to find all contaminated areas in and around the source of the infestation. Over-the-counter bug sprays are best for the early stages of an infestation. If they are detected after they have been around for a while, bug sprays will not be as effective. It is estimated that about 85% are found in or near the bed, justifying their name. Most people bring them into their home from another location. Hotels are a common source. Those who travel frequently should wash their clothes when they return home as a precaution. Those purchasing second-hand furniture should clean all furniture as soon as it comes into the home to prevent infestation. Cutting down on clutter gives them fewer hiding places. Those living in dorms or apartments should inspect beds and areas around the bed frequently for signs of infestation. Washing sheets and bedding on a regular basis is another way to guard against these bugs. This is especially true in the summer when people tend to be in and out of the house on a regular basis. It is easier to control an infestation when it is detected and eliminated in the early stages. Vacuums and portable steam cleaners are a generally reliable method to get rid of the infestation. It usually takes multiple vacuuming exercises to get rid of them all. Carefully target the areas where they are likely to be hiding such as corners and along the baseboard and around buttons and seams on a mattress. Portable steam cleaners work well because high temperature is involved and extreme heat kills these parasites. Heating and chilling are two professional non-chemical treatment methods. Commercial heating services heat an entire room to 140°F for a period of two hours or up to 130°F for up to three hours. The process kills most adults and their eggs. Chilling reduces the temperature to 32°F and maintains that temperature for several days to kill the adults and their eggs. Insecticides are not enough to treat severe infestations. They are most effective when used along with other methods such as vacuuming and washing bedding. The most effective pesticides are used by commercial pesticide applicators. Professionals tend to be better trained at detecting infestations and know where to spray to control and eliminate the problem. Insecticides are not usually applied directly to a mattress because of the risk of adverse effects on humans who have to use those mattresses. Synthetic pyrethroid products such as bifenthrin, deltamethrin and cyhalothrin are effective when used with other control methods. Botanical insecticides such as pyrethrin provide potent immediate results but are not good for long-term control. Newer products include chlorfenapyr (Phantom) and hydroprene (Gentrol). These products inhibit growth and cause sterility in adults. There are many over-the-counter pesticide products available on the market. Many of these products claim to be specifically for control. These products make claims of being able to kill them with some promising to prevent future infestations. These pesticides are best at killing on contact, but are not really that effective at controlling infestations that have spread. Performance of over-the-counter pesticides is not known with field tests often inconclusive. Some pest control experts recommend professional pesticide treatments. Due to regulations, over-the-counter pesticide products are only allowed to be of a certain strength. They are better at killing on contact rather than from second-hand contact or controlling an infestation that has already spread. These insects can collectively cost millions of dollars in terms of the efforts used to eliminate them each year. This includes efforts to prevent the pesky creatures from coming back. The most effective way to get rid of an infestation has been detected is by getting rid of existing bedding and furniture in the infected area. This method, obviously, will be the most expensive and is not something everybody can afford to do to eliminate the problem. While they are not known to transmit infections, but they can still cause itching, rashes and other skin disorders since they bite. Pest removal services can be effective in treating infestations. However, such services may be expensive. Therefore, many people turn to sprays they can purchase themselves to get rid of the problem. Some products are not as effective as they promise. There is no solid data comparing over-the-counter sprays. Many companies use independent labs to verify their results. This doesn’t mean all sprays are ineffective. In fact, some work just fine and are a less expensive alternative to professional treatments. In order for these products to be effective, additional methods of elimination should be followed. These include inspecting the sleeping area, sealing up cracks and openings and eliminating clutter. The area should also be vacuumed and disinfected. Bedding should be removed and items should be bagged, cleaned and decontaminated. Vacuum and clean the area once more before using a bug spray. Follow instructions carefully. Every spray product has instructions and procedures that should be followed for maximum effectiveness. Most sprays are supposed to be applied directly to the mattress and bedding. Wear gloves while spraying any spray so as not to have skin irritation or transfer the chemical to food or others you come in contact with on a regular basis. Bedding should be sprayed from the outside-in. The spray should be applied in a circular pattern and is usually able to be applied to furniture too. Walls, headboards and other areas can be spot treated. Basic sprays can be found for under $5.00. Surprisingly, there is little difference between the most expensive sprays on the market and those that are less expensive. Many over-the-counter bug sprays can be an affordable solution. Some products combine a bactericide, fungicide, and sanitizer along with the spray. These products tend to be more effective and allow you to use your bedding and other infested materials sooner. They also tend to cover more than just the original infestation area. There is no mixing; these products are simply sprayed where the bugs were observed. Powders can also be extremely effective. The only drawback is that the bugs must come in contact with the powder for it to be effective. A plus for many who choose this method is that it works instantly. A powder is best for when you know exactly where the infestation is located. This small, wingless insect can cost a lot of money and take a lot of time and effort to get rid of permanently. The average cost of an extermination program is from $200 to $400 (a combination of professional and over-the-counter methods). Natural solutions tend to be hit and miss. Common natural solutions for removal include: black walnut, natural heat, boric acid, steam treatment and botanical insecticides. Prices vary for professional extermination services with the final cost depending on the extent of the infestation. The average cost is $250 to $1,000 per room. This includes a plan of action to address the problem and possible repair work that may be necessary to stop further infestations. This makes sprays a desirable alternative to professional methods. Those with a more serious infestation may be better off going with a professional service to solve the problem. These sprays generally work well for treating the initial infestation. The key to controlling an infestation is to prevent future invasions from the unpleasant little creatures. Keep in mind that these bugs travel into a home on clothes or luggage. Place luggage in the bathtub or leave it in the hallway as you inspect the mattress in the hotel. Place clothes that you wear when traveling in a plastic bag so they can be laundered when back at home without contaminating other areas. Report any observance of bugs to the management and to the Better Business Bureau if hotel management is unresponsive. If the problem is serious enough, the local health department may need to be involved. Wash clothes when returning from vacation to ensure they are not transmitted into the home. Disinfect any soft toys or other such items to eliminate the change of cross contamination. Place luggage in a bathtub or other isolated area until it can be inspected. The best way to prevent an infestation is to be take measures to avoid infestation in the first place. This includes washing bedding on a regular basis, inspecting mattresses, checking luggage when returning from travel and checking dorm rooms, apartments or hotels for signs of bugs since these dwellings are most susceptible to infestations. Some sprays are more intense than others. There are certain chemicals you will find common among most sprays. The main difference is the combination of these chemicals. Some are described as all-natural or non-toxic. These tend to be better for those who are concerned about chemicals that may have harm small children or pets. It is important to choose a spray that is not only safe, but effective. Spending money on a product that does not really work is a waste of time and money. According to independent testing results, Bed Bug Patrol is the top all-natural spray. This product contains natural ingredients such as peppermint, coconut extract oil and cloves. The product has been verified to be effective, but also completely safe to humans and pets. Eco-Friendly Living ranks 2nd; both of these products should be used for two weeks to ensure the complete elimination. They should be used once a day for the first week and every other day during the second week. According to the U.S. Environmental Protection Agency, Best Yet Insect Spray is a safe alternative to other treatments on the market. The product is said to be effective and is made from food grade ingredients so it does not produce an offensive odor. PuraCleenRx is also an EPA favorite. This spray is not all-natural. It has many of the same ingredients as common hospital disinfectants, including benzalkonium chloride. Many of the ingredients in this product have proven to be safe for use in hospitals for years. Therefore, they are just as safe when used in this product. There are many products on the market promising eradication of these bloodsucking bugs. Most can be found at local hardware stores or online. Before using any type of insecticide, a home will need to be pre-treated. This includes moving all furniture away from walls to allow access to the baseboards so they can be treated and bagging all clothes so they can be cleaned. A room should also be vacuumed prior to using any bug spray. Remember that the vacuum will need to be cleaned so it doesn’t accidentally spread the bugs to other areas of your home. Some sprays are effective in eliminating the troublesome insect, but some of the chemicals are not safe for furniture. It is best to test a small area of a mattress to make sure it does not discolor the fabric. Carefully read instructions and check the list of ingredients to be sure they are not harmful to fabric. Some insecticides may also be harmful to furniture. This is another reason products with natural ingredients are preferred by some homeowners. Do a little research before you purchase any spray. Find out what sprays are safe for the furniture you have in your home. Prices will vary, but even less expensive products can be effective. Another factor is the extent of the infestation. If it is a mild infestation or has been caught in the early stages, an over-the-counter spray should be effective. Price is not an indication of quality when it comes to selecting a spray. These products require repeated treatments to be completely effective. Other methods of elimination should be combined to maximize success. Even just one bug can reproduce exponentially and leave you with hundreds of bugs in just over a month. If you use spray product, remember that every crack and crevice needs to be sprayed to eliminate them. Before investing in any spray product, inspect your home to find all hiding places. These may include the bedroom, hallway and other high traffic areas of the home. 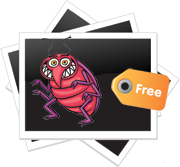 If one room is infested, they have likely made it to other rooms in your home. Once you have identified all areas of infestations, begin spraying. Powders are best when you do not see bugs during initial inspection. Each brand of spray has specific instructions for use. Generally, most products require at least two weeks of usage to be successful. Treatment should continue at least once a month after that for the next twelve months to ensure all are gone from the infested area. If you still have an infestation problem, it is time to contact a professional since the infestation is obviously very extensive. It is important not to skip any of the instructions, even though some steps may seem unnecessary. If treatment with DIY spray does not work, it may just mean you have selected the wrong product for your problem. It is usually best to try a few different products in the early attempts to deal with the problem. If these do not work, you have a more serious problem and need a professional. Learn to recognize what they like; they can be mistaken for other bugs. Avoid potential hiding places such as dust ruffles and bed skirts. If you do have extras like this on your bed, make sure they do not touch the floor to avoid creating an easy pathway for these bugs. Maintain at least two inches of space between the wall and your headboard if possible. This eliminates an easy access route. Take off your shoes before entering your house if possible. They have been known to be transported on shoes, as well as their eggs. Have your guests do the same. It is also a good idea to frequently wash shoes or at least rinse them off with hot water. Do not bring used bedding or furniture into your home until you have inspected these items thoroughly. The same is true even with new items since delivery trucks may become infested since many remove old items while delivering new items.It is a good idea to inspect any new or used piece of furniture that enters your home. This is especially true of a new mattress. Protect your bedding. Periodic spraying with over-the-counter bug sprays is a good way to prevent further infestations if you have had them in the past. One recommendation is to inspect and check your bedding and mattress with each new season or when you flip your mattress to check for signs of infestation. When you travel, inspect your hotel room for signs of bugs. Travel is the top way in which they are transferred from one location to another.The quality of the hotel is not always an indicator of whether or not there will be an infestation. Even the fanciest hotels may have problems. Use things such as travel bags, suitcase liners, garment bags, laundry bags and travel pillow protectors. Inspect all luggage and other items you acquired or took with you while traveling. Sprays come in all shapes and sizes. Literally. Some are all-natural, others are chemical-based. Some are designed to work on contact, others promise protection for a certain period of time. The best line of defense against these creatures is information. Once you know what to look for, you can make a better informed decision about which spray works best for your particular situation. Remember that all products will not be effective if used as the sole method of treatment. Cleaning and preparation must take place before treatment can begin. If you have young children and pets, you will want to choose a product without harmful chemicals. Follow the instructions carefully and if all else fails, call a professional as a final treatment option. Do: Inspect your home periodically; especially bedrooms and guestrooms. Don’t: Do not panic. Remain calm and assess the situation. It is not always a worst case scenario. If the infestation is caught early enough, simple steps are usually all that is necessary. Do: Be proactive. Reduce clutter around the bed especially. Eliminate hiding places. Inspect bedding and mattresses on a regular basis. Don’t: Do not relocate the item that is infested. This will only spread the bugs quickly throughout your house and cause more problems and make it more difficult to control the situation. Do: Immediately wash all bedding and clean the general area once you notice an infestation. Don’t: Randomly buy any spray product. A little time and effort can help you find the one you need. There are plenty of experts out there to help you in the selection process and offer advice. Do: Take the time to follow all recommendations for treatment. Be persistent and patient and odds are your bug problem can be brought under control. Ultimately, sprays are most effective if you follow the instructions and catch the infestation in the early stages. This is not to say that they cannot play a role in the treatment process at later stages. Sprays can be combined with other treatments to increase the chances of effectiveness. They have caused millions of dollars in damage due to lost hotel fees and the cost of extermination over the last decade alone. Today, people travel more often, increasing transference. According to one estimate, the prevalence of infestations is up 5,000% over the past 15 years. A proactive attitude is the best way to combat these bloodsucking parasites. My neighbor has had bed bugs for over a year and about 9 days ago i found some in my mattress and 7 in my couch i immediately had an exterminator come in he sprayed her house and mine and left powder all over the place after a week i started siliconing all the cracks around the floor boards, windows and door frames. I filled all nail holes, painted my walls to make sure i got all crackes and holes, threw my entire bed and dressers out but kept the couch, i have washed all sheets, blankets, pillows, pillow cases and clothes and dried them at a high heat. Im now sleeping on an air mattress and change the bedding every day. I spray my couch and curtains everyday. I made sure that i got rid of all clutter and washed every nicknack, picture frame, plant stands and tables in the shower with hot water i also gave all the plants showers. Me and my boyfriend dont get bit, i’ve only seen 3 bites on me in the 9 days but however my dog is still getting bit even though i fine combed everything in the house and even the house its self and i havent found residue of any type of infestation i have seen several dead bugs none alive but she seems to still get attacked. Do you think that i should get more powder and leave it down longer? Cause i really dont know where they can be coming from even though i have only seen about 7 in the past 4 days. I did everything. @Mariann, I don’t know what else you could do, but I will recommend that they are drawn to people that may do drugs as well as drink allot. Not trying to tell you how to live, but the smell of our bodies when we do drugs or drink allot draws them to us as well. I don’t do anything I shouldn’t, and also have them in my unit and have been fighting them for 2 years, they always come back. The floor especially, the carpet should be cleansed as much as possible. They will get under the carpet and the carpet will have to be stripped sometimes and either floor put down or more carpet. I prefer floor, but I can’t get my landlord to see the carpet issue. They will get in your ac units, they will crawl up the vents. I have seen some in my bathroom, in the sink. They can also climb up pipes in the sink, or tub. I have seen murphy’s oil soap and baking soda mixed kill them as well. They like to eat and invest old wood, like dressers and night stands, desks and other items, so cleaning with a wood oil liquid is good too. Compound W also works great as well, as I get plantar warts when bed bugs are near, and it is a warning system, as well as rashes. I have not been bit in a long time but I get rashes when they are near as well. Ethol alcohol spray works great too but will not always kill a whole lot of them. Another strange deter I have used is Old cola left in a can in the sun, dr. pepper is great for this. Then after it sets in the sun a while put baking soda in it as well and get an old detergent bottle and put the dr. pepper baking soda into it and put it on baseboards. You may be worried about other pests being drawn to the cola but I have not had any trouble with anything else. The baking soda will burn them and the ingredidents in the cola will kill them as well. Home Depot has a spray for your luggage and your bed rails and mattress and it should be handled carefully and you must spray at least three times a week. If you have any wood piles in the yard they will also get on and in them, wood piles should not be kept near the home. IF you have had any pets die near the home, do not bury the animal nearby. They will infect dead animals in the ground to consume their blood as well and then come to the home to infest it if they believe the other animals are sick or could die similarly… (ewwww) Most people do not know about that, if you have buried pets with their blood still in their veins, they can be fed on by bedbugs. The host does not have to be living for bed bugs to feed on them. (My Great grandmother and her daughter, my grand mother) told me those tales. They are also known as the Wood Louse. You need to also treat your yard and the outside of your home.anywhere your pet is at or has been. Keep a towel or rug at your door treated with the powder and make everyone wipe their feet/shoes on it prior to entering your home. You cam pick up the eggs and the bugs from anywhere that someone has been that has them. You will need to treat every 9 days for a couple months as their hatching cycle is every 10 days. When they say clean everything they are not kidding. Start with one room and wash and bag everything (walls, cealings, floors, all items in the room, curtains, lights, pull off the covers to light switches… Close the door and move to the next room.keeping a treated towel or rug next to the door to wipe your feet each time you enter or leave a room. Leave all bags or containers that you will be using ti “seal” items in outside each room. If you bring them in there is a potential of contamunation. I dumped boiling water all over the carpet and put down diatomaceous earth, and used some sprays and it worked but now I have a mold problem and I expect the bugs to return somehow because I heard they are impossible to get rid of in apartments, due to wall pipings they crawl on. I never saw that. I noticed those eggs are everywhere in carpet and the bugs plant the eggs in your clean clothes hanging in the closet or in drawers and have seen the bugs scatter looking like individual nomad travelers, and I think they are looking for places to drop eggs all the days, it’s all they do, bite, mate, and look for a place to stick those eggs around. Most people say you have to move out. I think this is mostly true because it’s traumatizing to get bit a lot and the bugs need to move out and I got staph 3 times already, MRSA, after the rows of bites living near too many drug users frequenting the neighborhoods at the beach with dozens of hotels and hostels on the coastline in Los Angeles. The bugs come back because the mother’s spend all their time crawling into everything there is and planting sticky white tiny eggs. If two of the eggs are a male and a female then a population can start up. Steam cleaning would have been much better than dumping pots of boiling water, and putting my furniture and suitcases and in the bathtub but I don’t have the money. Apartments and hotels and houses in my opinion need to be vacated of humans and pets and wildlife animals such as bats or racoons, or mice…. for I heard 3+ months to a year depending on how long it takes the bugs to die, and then people can move back in. This allows them to leave their stuff in place and some daytime access as long as you wear a mesh screen hazmat suit all over and boil it afterwards. I noticed the hungry bugs will quickly jump you in the daytime. Moveout time can be into a van, or another place you can afford, or camping, or landlords can rent another place for emergency evacuations but they won’t but I think legislature should provide for this or the government should open up bed bug evacuation camps if they can’t afford to provide hotel spaces. Our culture wants people to live in one place and be there. They will shun the homeless simply over money they lost control of. The government needs to admit that cedar, cloves, and mint sprays used in gardens work, quicker and cheaper, and provide these recipes and ingredients sources to people, but people claim they don’t work….what happens is the one’s on the market are weak as crap, diluted…. they need to spray the bed area every night before bed time, and stop with the chemical games that pharmaceutical and chemical companies want to hide the ingredients that work to make a mystery product that people have to buy expensively. I noticed plenty of people have bed bugs that live off their pets and if the pet goes, then the family or roommates or neighbors get all bit up. The infestations start over ignorance a lot. I thought I had a rash, the doctor diagnosed me with scabies, but it wasn’t any scabies, the baby next door was diagnosed with eczema, and lot’s of similiar online stories, all because that’s all their allowed to prescribe or can make money with, imagine that, the doctor’s will let the bugs keep biting because there’s no profit in the cures, they can’t write a script for bed bugs that keep coming back and biting forever. All that happens when you put creams and some insecticides on is it makes the bugs throw up and you see blood spots in the sheets and you can finally catch a sickly bug or two and see what you’ve got. The bugs seem to me to get over it and look for another area of your skin asap. The more cream or tea tree oil I used the more the rash area spread as they just moved to an untreated spot of skin to bite. The pest control companies like to monitor with C02 traps and these catch a bug or two but they don’t work near as good as blood laying there. The bugs know if they are getting fed and able to populate or not. It’s what the bugs want to do is populate as much as they can get away with. Great info VB, you are right about every thing but the boiling water- so sorry about your carpet. The natural oils, herbs work and if cinnamon is added with clove& cedar,mint; it knocks the bugs d**k in the dirt. Speaking of dirt spreading diamociaous earth around your dwelling if possible is like an atom bomb ,got rid of fleas too- in FL. use every 2 to 3 months.I had great results with Adams home spray inside bed, any thing not breathing—along with the herbal for dogs & cats. Topical treatment like Elvole between shoulder for pets works better & 3/4 less the price than frontline kills bed bugs on pets along with fleas ect. Thanks again for yr great comments! I just love how everybody says all kinds of things they know nothing about. First of all bed bugs don’t live off of dead animals because they are attracted to co2. Dead animals don’t breathe so there is no co2 there. They don’t eat old wood like one post said. They are amazing at hiding and find really narrow cracks and crevices to hide in. I am personally fighting an active infestation right now. We found them in our house on April 8th 2016. We had a heat treatment on April 16th 2016. We have only seen 4 bugs since the heat treatment and those were two days afterwards and were caught in the climb ups we put under the feet of our bed. 3 of those were babies and one was an adult. The Adult one died by the next morning. Our house was sprayed with a PCO the next Friday April 22nd. We have another appointment in two more weeks to be sprayed again. Then they will come back every two months for a year and inspect and spray. If we see anything in the climb ups we are to doument and call them. We have a 5 bedroom 3 story house and only found them to be in one room. With care diligence and some perseverance you can beat these things! What was the name of the company you used? Who much did it cost you? Anu chance you mind sharing how much the heat treatmentts cost you. Im losing my mind here. One of my friends had gone for vacationing to Austria. 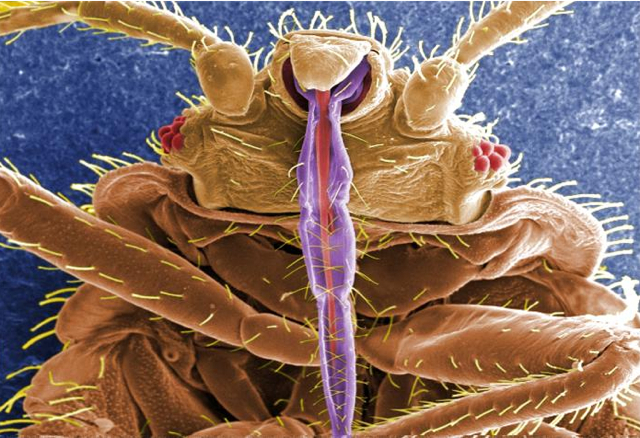 As soon as he came back, he started to get troubled by the bites of bedbugs. Soon he visited a doctor and found that he had bought bedbugs as souvenir from his vacation. Immediately, he contacted the exterminator and got rid of it in a day. I want to know if spray kills the egg of the bed bugs or not ? And for how long could the bed bugs live without feeding ? And if the young bed bugs must feed after getting out of their eggs to survive or not?